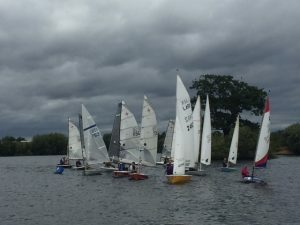 A good turnout, especially amongst the Supernova class saw some excellent racing on Sunday with a variety of legs includinga long run providinga good challenge. 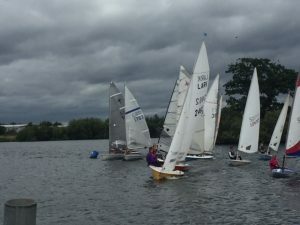 A good start in Race 1 saw Nick and Ruth Marlow lead the fleet away. They were slowly drawn in by Jon Adams and a couple of Supernovas. Jon eventually went on to get clear ahead and win on handicap. 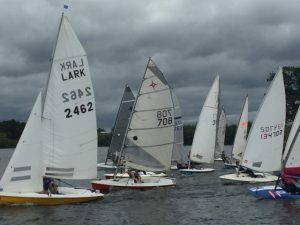 The next four or five boats had a good battle with places changing continuously. 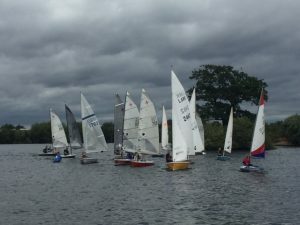 After a poor start Kevin Last battled through to second with Rob Corner third beating the Marlows by a second overall. 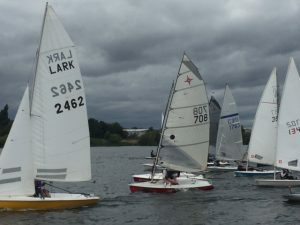 The Junior Fleet was won by Jill Reid from Iona Reid. 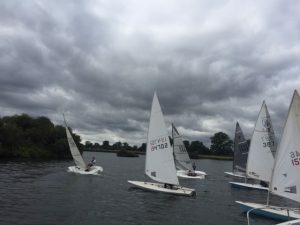 Unusaully Race 2 for Fast and Slow saw mainly fast sailors ot with 7 of the fast fleet being Supernovas wit the Marlows in their Lark and Kevin Milton in his Phantom making up the numbers. Keving Milton led the fleet around and at one stage was winning overall but eventually ended up ninth. The Marlows had a good tussle with four or five Supernovas, eventually winning on handicap. Kevin Last was first Supernova folowed by Richard Savage, Andrew Goodman, Roger Day and Nick Turnbull-Ross with these four having a great race and finished with eight seconds of each other.